When it comes to taking pictures on the go, it’s hard to beat the convenience of a smartphone: It’s lighter than a bulky SLR camera, and, unlike your typical point-and-shoot, it’s in your pocket even when the idea of playing photographer is furthest from your mind. This fact hasn’t escaped the folks at Apple, who have worked hard over the last few years to turn the iPhone into the world’s most widely-used camera by iterating through an increasingly sophisticated combination of hardware and software. 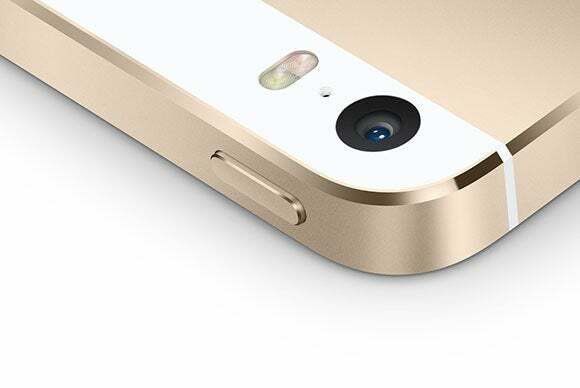 This tradition continues with the iPhone 5s, which features some amazing new camera technology under the hood. Manufacturers just love to tout the resolution of their cameras; after all, more megapixels make for a great marketing pitch, and comparing numbers is easy for consumers to grasp. However, like megahertz on a CPU or inches on a TV, megapixels only tell a relatively small part of the story, and, after a certain number, they no longer help you take “better” pictures—only larger ones. It isn’t really a surprise, then, that Apple chose not to increase the 8MP resolution of the iPhone 5 camera when making the 5s. Instead, the company focused on other functionality that, while perhaps harder to explain, has the potential to allow the average user to take better pictures. Perhaps the best example is the new camera’s bigger sensor, whose surface is 15 percent larger than the one found in the iPhone 5. Because the number of pixels hasn’t changed, this means that each of the photoreceptors on the phone can now capture more light—up to 33 percent more, according to Apple. Combine this with a new five-element lens, which sports a large f/2.2 aperture—an improvement over the iPhone 5 that should allow significantly more light to reach the sensor—and you end up with a camera that performs much better when shooting fast-moving subjects or working in low-light conditions. A charge-coupled device (CCD)—the eye behind every modern digital camera. The real magic of the camera of the iPhone 5s, however, is hidden away from its lens, tucked in a specialized portion of the A7 CPU called the Image Signal Processor (ISP). That’s the hardware responsible for taking the raw input from the sensor and turning it into actual pictures. Rather than relying on third-party hardware, Apple introduced its own ISP with the debut of the iPhone 4s, and the company has been refining the chip’s capabilities ever since. With the iPhone 5s, the ISP has acquired some functions that you are much more likely to find in a high-end dedicated camera than in a smartphone. For example, in addition to attending to matters like white balance and exposure compensation, the chip uses a technique known as local tonal mapping to take individual portions of a photograph and independently enhance their contrast. If you take a shot of a dark subject against a very bright background, for example, the iPhone is capable of adjusting the latter so that it doesn’t look washed out, while making the former lighter to increase its visibility. But that’s not all: The new ISP also gains the ability to perform multizone metering, which means that it can now analyze multiple areas of a photo when making decisions on elements like focus or color balance. This results in a more responsive autofocus feature, better contrast, and crisper pictures. A more sensitive sensor and faster ISP also translate to better capabilities at the software level. For example, theCamera app now features a new “burst mode” that allows you to take many pictures in a row; it can even automatically pick for you the ones that turned out the best. A similar technique is used by the Camera app to help prevent blurry pictures caused by camera shake: By shooting a burst of pictures over a very short period of time and picking the one that shows the highest amount of contrast, the camera can produce crisper pictures even when you’re not on the steadiest footing. A faster and more capable Image Signal Processor makes new features like burst mode and slow motion possible. If you’ve ever taken a picture under artificial light with a flash, you’ve probably ended up with what I like to call the “zombie portrait,” in which the difference in color temperature between the ambient light (which typically has a yellow tint) and the bluish light emitted by the flash makes it impossible for the ISP to properly balance the exposure, causing people in the resulting picture to look like they came straight out of a George Romero movie. This problem has been the bane of photographers since before digital cameras, when the only way to correct it was to place a special gel filter in front of the flash and use a dedicated tungsten-balanced film. It was so common that many labs used to hand out preprinted cards with an explanation of the whole color balance issue in an attempt to prevent customers from accusing the technicians of ruining their children’s birthday photos. Film is, obviously, not an issue in a digital camera, but even the most advanced signal processing algorithm cannot currently compensate for two light sources with different tints. To solve this problem, Apple has effectively added a second flash capable of emitting light of a slightly different color. The ISP can then measure the ambient light and mix the two flashes in such a way that they will approximate its temperature, resulting in fewer Night of the Living Dead stills without the need for specialized equipment. All of these new features add up to a camera that offers great performance without much user intervention. This makes the iPhone 5s the perfect companion for everyday shooting, allowing both inexperienced users and pros to take good pictures at the drop of a hat.